Big quote: "We think Nvidia generated $1.95 billion in total revenue related to crypto/blockchain," said Royal Bank of Canada Capital Market Analyst Mitch Steves. "This compares to company's statement that it generated around $602 million over the same time period." Nvidia has been hit hard by the cryptocurrency crash, possibly worse than any other company. In November their stock dropped 19%, in December it plummeted 50%, all because of excess inventory of the Pascal cards they produced to satisfy miners. Presently their stock is about 50% down than it was only a few months ago, when it peaked at $292.76 during September 2018, so while the stock is holding on and bounced back a bit during January, the steep falls are a strong incentive for Nvidia to mask large fluctuations in revenue. According to Steves, measuring the hash rate and calculating the volume of Ethereum and other cryptocurrencies mined from April 2017 to July 2018 reveals that roughly $2.75 billion should have been generated in sales. Nvidia should have captured about three-quarters of that, with AMD getting the rest. AMD’s earnings forecast, released last Tuesday, backs up this idea. They expect revenue of $1.25 billion, 24% lower than this time last year. Nvidia’s forecast was $2.7 billion, but they recently dropped it to $2.2 billion prompting their most recent stock price troubles. Admittedly, it would be surprising to see Nvidia miss revenue expectations for a single quarter by $500 million because of the crypto hangover, when crypto sales only generated $600 million to begin with. Steves hasn’t suggested exactly how Nvidia is masking its revenue, which is something of a linchpin. While they obviously cannot lie to shareholders’ faces, it might be possible to conceal the revenue by quickly funneling it into other projects or having third parties, such as OEMs, pay for the GPU boards over a longer period. 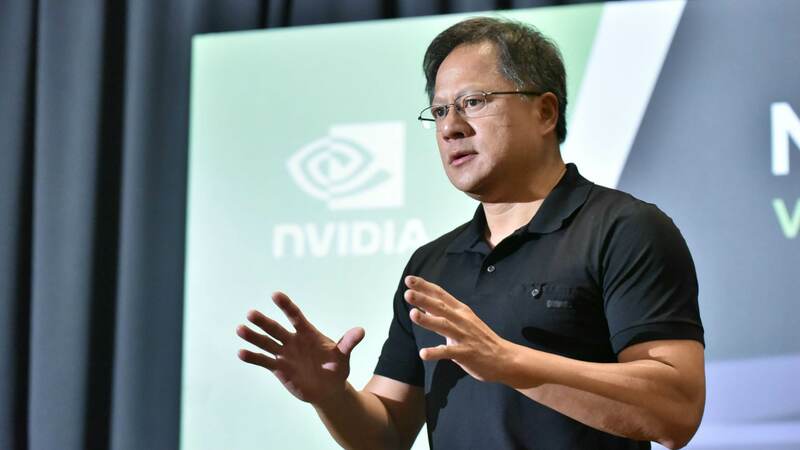 If Nvidia did conceal their total revenue then that does bode badly for future profits, as the non-crypto market would be substantially smaller than is currently believed. Of course, this is a very bold claim, so entertain it more as an interesting possibility than a likelihood.